DFL-DDP usb3.0 data recovery equipment has become the most popular data recovery equipment for more and more serious data recovery companies. 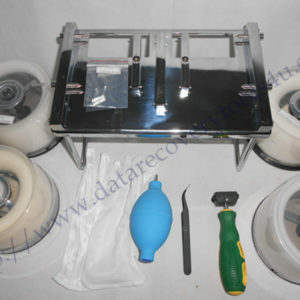 Recently many big data recovery companies have purchased this equipment for all their data recovery labs, they are purchasing 4 DDPs, 7DDPs and even 10 DDPs to use with their competitive data recovery services, they are taking advantages of the unique powers DDP brings to them-the highest speed and the innovative data recovery solutions. Let’s see what’re the symptoms of the patient disk first. For seagate drive, we need to connect COM cable to transfer commands. Very good, the hard drive can be scanned but the drive has many bad sectors. Let’s see if the DFL-DDP can get data back from this drive with a lot of bad sectors. 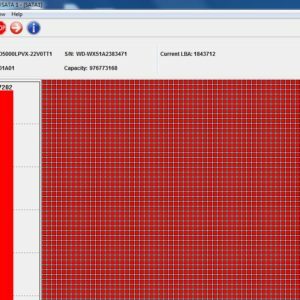 Scan lost partitions forward and it doesn’t work and next scan lost partition reverse, the partitions are detected, save them. The case is closed and we can ask the client to pay for this case now.